August has arrived and we’re officially in High Summer! The past few weeks have been fairly busy to say the least: I’ve been attending weddings, 30th birthdays, outdoor concerts and weekends away, all in the great outdoors. The weather hasn’t exactly been on my side for every occasion, but in all honesty it’s pulled itself together to an extent. Last weekend saw a lovely outdoor wedding in Cheshire, which involved the usual girly get-togethers, lot of fizz and a huge dose of fun. Before the wedding, I got my act together in the nick of time and opted for a tan, hair cut and polished nails to preen myself. With both my arms and legs both on show, I did start to regret not getting both of these areas removed via laser hair removal when I recently had it done. I had the treatment carried out on my upper lip (although I’m blonde) just to keep away any sneaky light hairs which do not look so great on the face. It’s by far the best thing I’ve experienced, as I never have to worry about any embarrassing plucking or bleaching the day before an occasion. However, I did realise just how much it would benefit me to look into getting larger areas of my body booked in too. Another ‘high summer’ update for you all is that I’ve been adding to my jewellery collection, and this time, in the form of shiny sterling silver. I now own this gorgeous Itsy Bitsy Initial Necklace, in the initial E, which is the cutest little pendant necklace I own! It retails at £38, and you can literally pick which ever letter you like, making it a fantastic option for gifts. 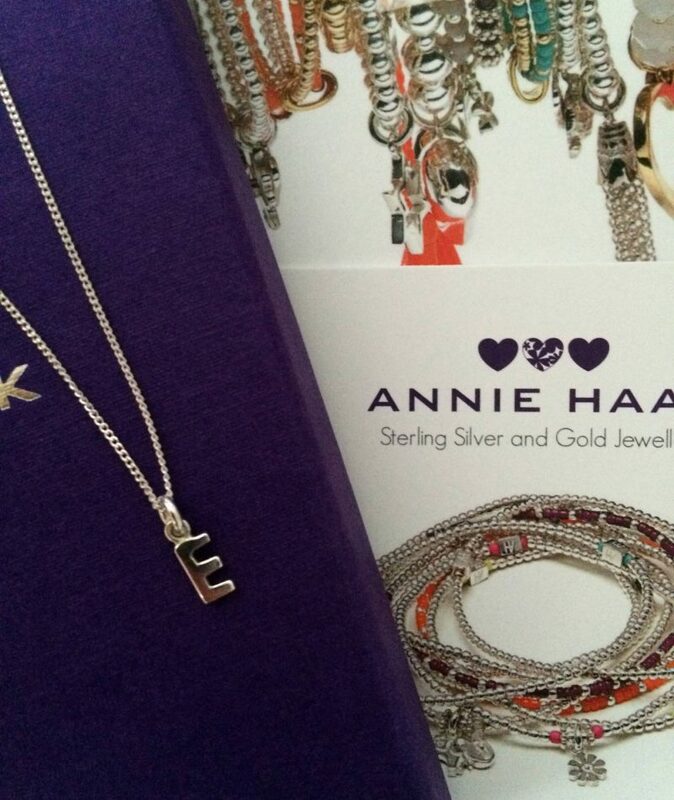 It’s from the Annie Haawk store online, which has some affordable yet super classy gift jewellery. It’s so dainty and pretty that I’ve started wearing it with simple, classic outfits in the day time, such as the grey dress in my photographs above. There’s something about shiny silver sitting well on light grey! 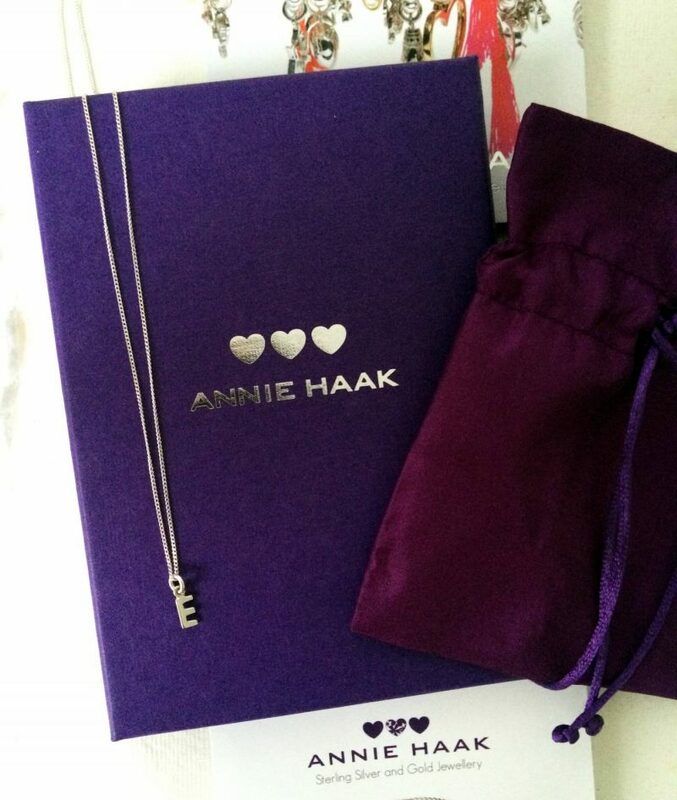 The necklace arrived in a plush purple bag and box which won me over before I had even opened it up. You all know what I’m like – I love a bit of fancy packaging! So, I briefly touch on attending a wedding earlier on, so you might be wondering which occasion dress I whipped out for this one. Well, I used my back-up 30th birthday dress, which ended up losing out to a sparkly number from Rare back in May. However, this show stopping navy dress from Chi Chi London came out in full form over the weekend for the outdoor wedding, and never before have I had so many compliments over a dress! I currently have a few more new purchases over the past few weeks I’ll be sharing on here shortly, so as usual, keep an eye out! Previous Post Beauty: How Good is the Tangle Teezer? Just wondering where the grey dress is from please?